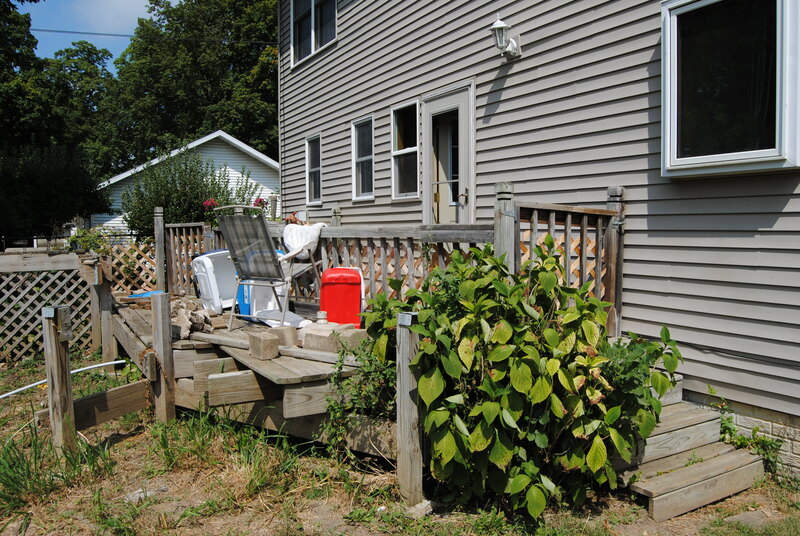 As promised, here are the before and after pictures from our big deck and patio project. 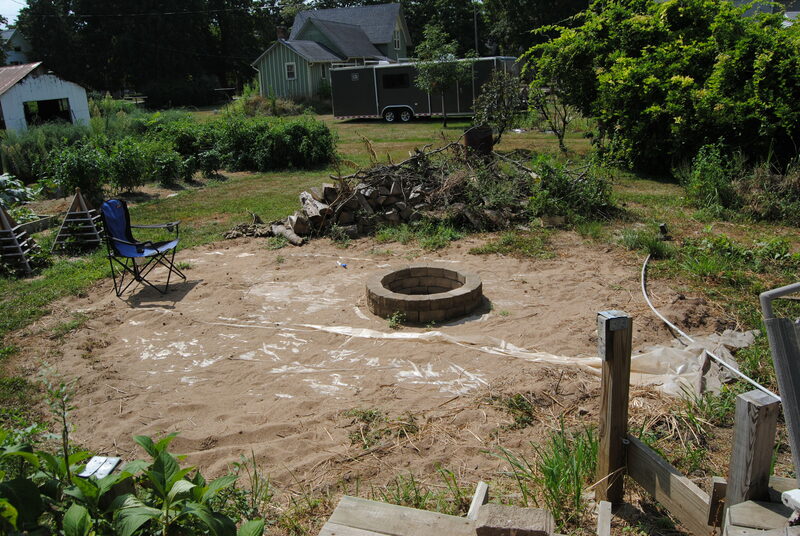 Our newly built fire pit, sitting all alone in a pit of sand. The old deck, partially torn down. 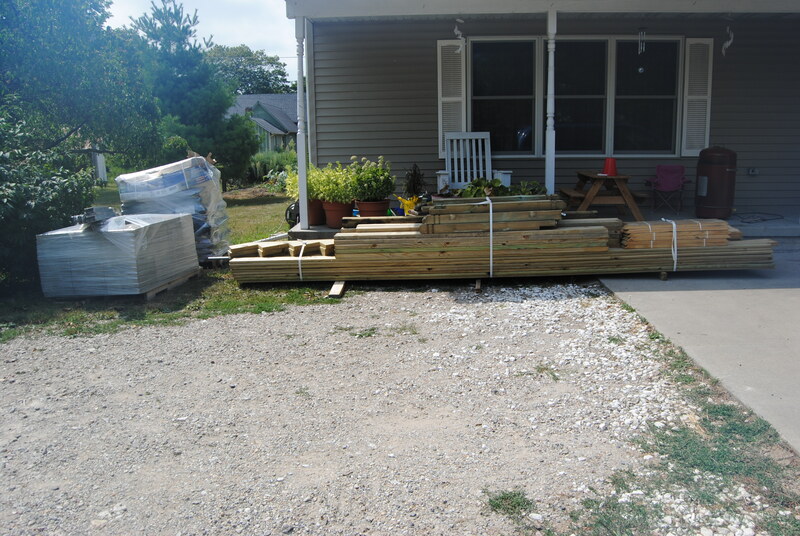 Supplies for our deck and patio project. 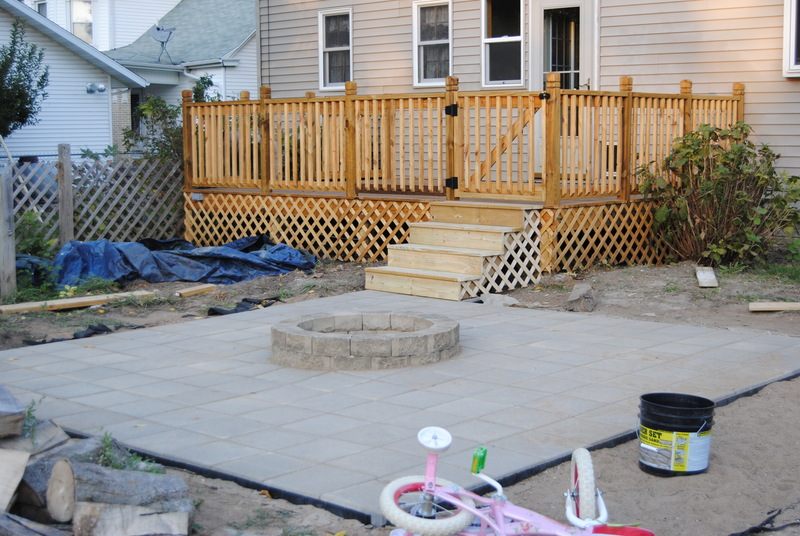 After weeks of deck tear down and preparing the ground for the patio, our projects were complete. Thanks Cassandra! We’re thrilled to have this part done!! Looks awesome! Now just waiting for my invitation for a wiener roast!